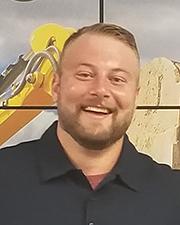 Albany, NY According to ADMAR, a construction equipment rental and sales company, Mike Billow has been hired as sales representative. In his new role, he will be responsible for facilitating new and maintaining existing relationships with clients. He will pursue organic growth opportunities that add value for his clients. Billow joins the ADMAR team from Vast Labor Services LLC, where he served as owner and operator. Prior, he spent time with North County’s House of Motorcycles and received top salesperson during his year with the company. Billow resides in Fort Edward with his wife, Candice, and their son, Ryan.